VALPARAISO, IND. — The Official Best of America travel show will feature Songbird Prairie Bed & Breakfast as the “Official Best Romantic Getaway in Indiana.” This one-minute to two-minute segment will highlight “The Best of Indiana—2018” and will air on WBBM-CBS in Chicago, Ill. and on WWJ-CBS in Detroit, Mich. Saturday, Oct. 20 at 12:30 p.m. as well as on WDJT-CBS Milwaukee, Wisc. at a later date. Owned and operated by Barbara and Efrain Rivera, the Songbird Prairie Bed & Breakfast, located at 174 N. County Rd. 600 W. in Valparaiso, offers one of the finest romantic bed and breakfast accommodations and artfully presented food in Northwest Indiana. This charming accommodation also includes extended relaxing spa treatments and walks along the grounds for a truly pleasurable getaway. Guests can stay in a country setting with classic Ethan Allen Furnishings inside songbird themed suites that include fireplaces and whirlpools. For locals and visitors not staying the night, breakfast, afternoon tea and spa treatments are still available. Call 219-759-4274 or visit www.songbirdprairie.com for more information. The Songbird Prairie Bed & Breakfast will air as episode nine of season 11 of Official Best of America travel show. The episode will feature the "Best of" attractions in Ind., Ill., Wis. and Mich. Along with the TV airings, the Songbird Prairie Bed & Breakfast feature will be hosted on www.OfficialBestOf.com and Official Best Of’s YouTube channel. Songbird Prairie Bed & Breakfast is also one of Midwest Living’s 30 favorite bed and breakfasts. For more information about Songbird Prairie Bed & Breakfast and other exciting Indiana Dunes area attractions, visit IndianaDunes.com. Indiana Dunes has one of the nation’s five best beaches for family fun—and the only one not on an ocean. Its 15 miles of beaches offer endless opportunities for splashing and playing, as well as amazing views of Chicago’s skyline and climbs up ancient sand dunes. 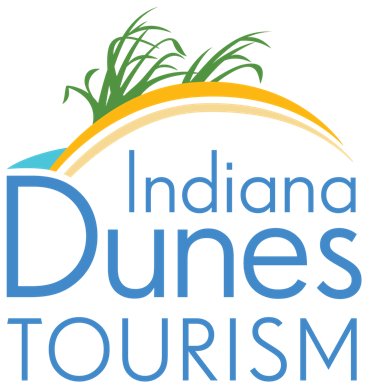 The Indiana Dunes area offers swimming, hiking, paddling, cycling, birding, fishing and other natural adventures, along with fine dining, historical venues, exciting attractions and charming downtown communities, featuring affordable accommodations, quaint bed and breakfasts and Midwest hospitality. 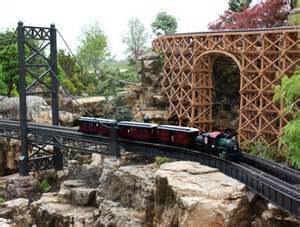 Featuring dwarf plants and model steam engine trains, the exhibit showcases the impact steam engine trains had on early 19th century US railroads. Check the website for special events.